My fraternity enjoyed its Centennial Celebration in 2006. While the celebration had some bumps in its execution, it was by and large a decent event. We got some good swag (medallion, pin, leather convention bag), some great literature (Centennial Book of Essays and Letters), a huge photo op in a stadium, a concert…. you know, all the stuff that makes for a nice five-day long celebration. Since that time, I’ve eagerly awaited the Centennials of the remaining black Greek letter organizations of the so-called “Divine Nine.” None have disappointed me yet. In 2008, the AKAs set world records with the largest sit-down dinner ever. I attended a Howard University sponsored-event during the AKA Centennial in which they raised an AKA flag over the campus. And of course there were fireworks, wax statues, and over 20,000 women all dressed in white. Then came the Kappas and Ques in 2011. While I did not travel to Indianapolis to see the Kappas, I saw many photos of the great time they had with their pilgrimage to Indiana University and the world’s largest cake. And as for the Ques, well of course I was in the mix. I went down to their host hotel just to stand in the middle of it all and I wasn’t disappointed. They brotherhood was high, their souvenir journals were hard cover, and their spouses were chatty. So far, I think each Centennial has reflected the personalities of the organizations. Delta Sigma Theta was no different. They did it big for 2013 and this is only the beginning. Delta Days in the Nation’s Capital and Women’s Suffrage March Re-Enactment are coming up in March, and the 51st National Convention is coming in July. Below, you will find a collection of photos and videos I was able to collect from the weekend of official and unofficial events as documented through social media. Even if you weren’t in the thick of things, you certainly couldn’t escape Delta Sigma Theta Founders Day Weekend 2013 or even the weeks leading up to it. First, the Deltas had a float in the 2013 Rose Parade in Pasadena, California. KTLA’s Gayle Anderson had a lively interview with the volunteers who helped make the float possible. Later that evening, Delta had a star-studded Hollywood Gala. The Federal City Alumnae Chapter has an album of those pictures on their facebook page, but I couldn’t resist sharing this photo of my fraternity brother Tim Reid and his Delta wife Daphne Maxwell-Reid. Local media was on top of things, as Delta Allison Seymour interviewed Gwendolyn Boyd for Fox 5. 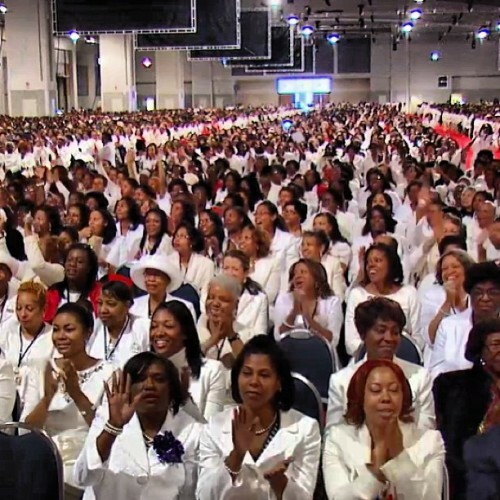 Other events took place in DC as chapters had mini-reunions and the national organization sponsored a sisterhood luncheon and an awards dinner. But, as they used to say, “The nighttime is for sisterhood.” The Valley was once again ablaze as thousands of Deltas descended upon Fortitude to ring in the new Delta year. Needless to say, it was bananas out there. The next day, the official activities included a marathon Ecumenical Service and a Founders Day Dinner which included pre-recorded greetings from Barack Obama as well as surprise musical guest Eric Benet. On Sunday morning, Delta Melissa Harris-Perry closed her show with a tribute to the sorority, in which she revealed she had been chapter president. The Washington Post reported on the Centennial. And the Detroit Free Press gave a shout out to Alpha Chapter President Erin Keith. If you want to see the Centennial Founders Day activities from the point of view of the members that lived it, just type in #dst100 on Twitter, Tumblr, or Instagram. It seems as though social media is advancing exponentially with each passing Divine Nine Centennial, and I’m grateful for it.